Removal of leucocytes from various blood products has been shown to minimize Febrile nonhemolytic transfusion reactions, HLA alloimmunization, platelet refractoriness in multitransfused patients and prevention of transmission of leukotropic viruses such as EBV and CMV. Rapidly growing size of hemato-oncological patients in our country requiring multiple transfusion of blood and components during the course of their management pose a great challenge to transfusion services to provide them red cell and platelet antigen matched products in alloimmunized subjects. Thus removal of leucocytes below a certain threshold, ≤ 5 x 10 6 in a blood component certainly helps in prevention of alloimmunization and associated risks in these patients. Currently the best Leucoreduction can be achieved with the help of 3rd and 4th generation leukofilters, both in laboratory and patient bed side, and state of the art apheresis devices. The present article briefly reviews the current literature for pros and cons of leucofilteration and its scope of implementation in the cost constrained settings. Dramatic increase in blood usage and critical seasonal blood shortages are faced by various countries. Countries which previously reached 100% voluntary nonremunerated donation have been led to offer different kinds of incentives to recruit blood donors and meet their blood demands. In some cases, these incentives are considered monetary and are in complete contrast with International standards like World Health Organization (WHO). It seems that attitudes toward sole dependency on nonremunerated voluntary blood donation have been changed in recent years and experts in some developed countries are reevaluating partial reliance on paid donation. On the other hand, besides the effects of such incentives on blood safety, several economic and psychological studies have shown that incentives have discouraging effects on pro-social behaviors like blood donation and will reduce the number of blood donors in long term. With regard to the results of such studies, it seems that implementing incentive-based blood donor recruitment programs to meet blood requirements by some countries is becoming a challenge for blood banks. Background: Hematopoietic stem cells (HSCs) and mesenchymal stem cells (MSCs) are the two widely studied and characterized adult stem cells. Thus far, MSCs were obtained from the bone marrow, which is a painful procedure. Therefore, MSCs from less common sources like cord blood, adipose tissue, tooth pulp, and so on, have been the subject of research. The purpose of this study is to explore the possibility of finding MSCs from a less controversial, easy, and abundant source, such as the umbilical cord, for potential regenerative medicine applications. Study Design and Methods: Five bone marrow samples (BM), seventy cord blood units (CB), and four umbilical cord matrix (CM) samples have been used for the study. Expanded MSCs were checked for biomarker expression by flow cytometry and were also checked for their differentiation to mesodermal and ectodermal lineages. Results: MSCs could be isolated from 100% BM and CM samples, as compared to only 6% of CB samples. The fold expansion of the mesenchymal stem cells observed in CB (CB-MSCs) was distinctly higher as compared to BM (BM-MSCs) and CM (CM-MSCs). MSCs isolated from all the three sources expressed a characteristic mesenchymal phenotype of CD45-/vWF-/CD14-/CD31-/CD73+/CD105+/SSEA4+/CD29+/CD44+/HLAABC+, whereas, the HLA DR was conspicuously absent in CM-MSCs and CB-MSCs. 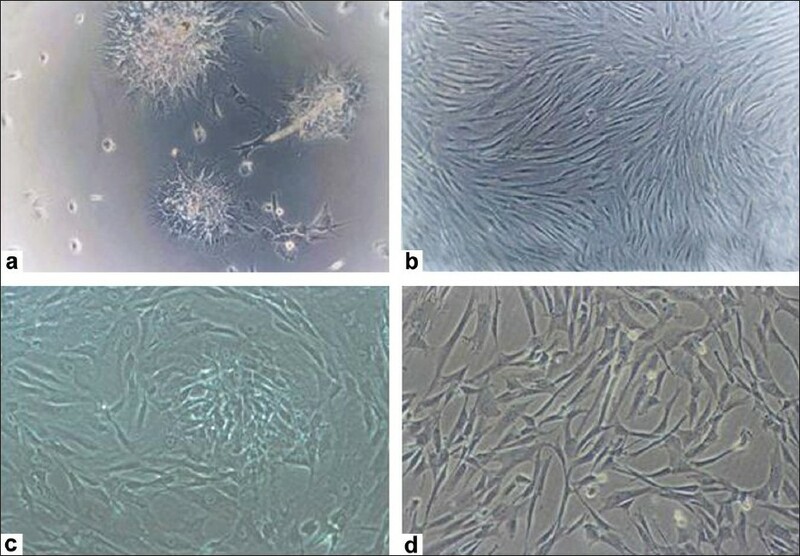 Although osteogenic, chondrogenic, and neural differentiation was observed in MSCs from all sources, adipogenic differentiation was observed only in BM-MSCs. Conclusion: CM-MSCs are a dependable source of an unlimited number of MSCs for autologous and allogenic use in regenerative medicine. Introduction: The appropriate use of blood and blood products means the transfusion of safe blood products only to treat a condition leading to significant morbidity or mortality, which cannot be prevented or managed effectively by other means. The safety and effectiveness of transfusion depend on the appropriate clinical use of blood and blood products. This study was conducted to review the practice of fresh frozen plasma usage (FFP) for transfusion, based on the coagulation profile, requested by various departments in the Hospital Universiti Sains Malaysia (HUSM). Methodology: A retrospective review of blood bank records and coagulation profile results of the patients given FFP from October to December 2006, in Hospital USM was undertaken. The criteria set by the College of American Pathologists in 1994, were used as the guidelines. Results: One thousand six hundred and ninety-eight units of FFP were used during this study period. Only 806 (47.47%) FFP units were deemed appropriate. 20.38% were based on studies without any coagulation tests prior to transfusion and 21.13% were transfused for mild prolongation of coagulation test results. About 6.41% requested FFP in the setting of normal coagulation results. Conclusion: Our results showed that a significant proportion of the FFP transfusion was not guided by the coagulation profile. We recommend that a continuous education on FFP transfusion may help to guide the appropriate request for FFP. 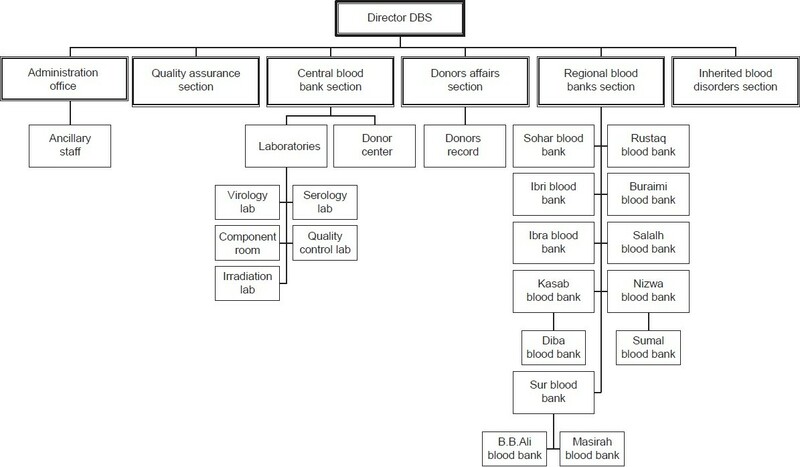 Background and Aim : Quality assurance in blood banking includes active participation in the external quality program. Such a program offers valuable benefits to patient care, their safety, and an overall quality of laboratory practices. In the year 2002, we participated in the External Quality Assessment Scheme (EQAS) under the World Health Organization (WHO), Bureau of Laboratory Quality Standards, Thailand. Materials and Methods: In the current study we evaluated our EQAS test result of the past five years, from 2003 to 2007. Test results of all blood samples such as ABO grouping, D typing, antibody screening, antibody identification, and transfusion transmitted infection (TTI) testing were analyzed and documented. Results: Discordant results in one or more instances were observed with antibody identification, weak D testing, and tests for anti-HIV1/2 and HBsAg. Twice we failed to detect the 'anti-Mia' antibody in the issued sample and that could be attributed to the absence of the corresponding antigen in the used cell panel. HBsAg was missed due to its critically low titer in the serum and the comparatively low sensitivity of our Enzyme-Linked Immunosorbent Assay (ELISA) test kit. Conclusion: All these failures in the last five years have helped us to significantly improve our transfusion service in terms of performance evaluation, patient care and safety issues, and the overall quality of laboratory practices. We therefore recommend all laboratories and hospitals to participate in the EQAS program, which will definitely help them to improve from what they learn. Background and Aims: Blood donation from glucose-6-phosphate dehydrogenase (G6PD)-deficient and sickle cell trait (SCT) donors might alter the quality of the donated blood during processing, storage or in the recipient's circulatory system. The aim of this study was to determine the prevalence of G6PD deficiency and SCT among blood donors coming to King Khalid University Hospital (KKUH) in Riyadh. It was also reviewed the benefits and risks of transfusing blood from these blood donors. 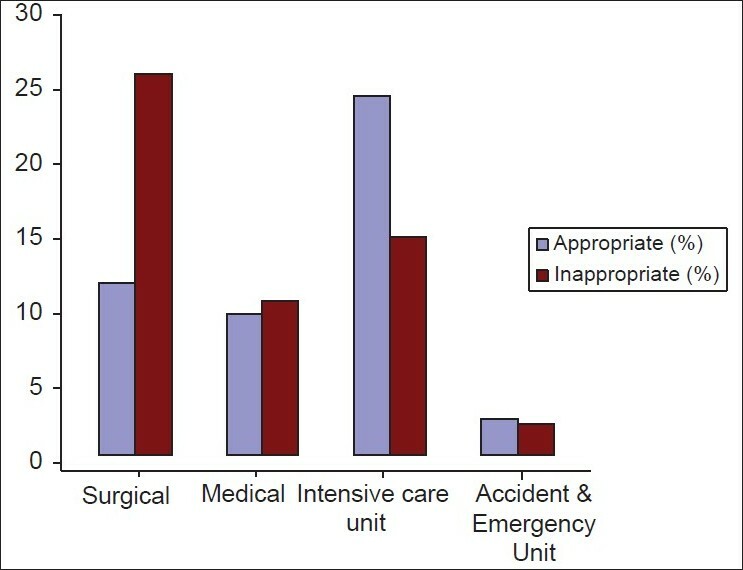 Materials and Methods: This cross-sectional study was conducted on 1150 blood samples obtained from blood donors that presented to KKUH blood bank during the period April 2006 to May 2006. All samples were tested for Hb-S by solubility test, alkaline gel electrophoresis; and for G6PD deficiency, by fluorescent spot test. Results: Out of the 1150 donors, 23 (2%) were diagnosed for SCT, 9 (0.78%) for G6PD deficiency and 4 (0.35%) for both conditions. Our prevalence of SCT and G6PD deficiency is higher than that of the general population of Riyadh. Conclusion: We recommend to screen all units for G6PD deficiency and sickle cell trait and to defer donations from donors with either of these conditions, unless if needed for special blood group compatibility, platelet apheresis or if these are likely to affect the blood bank inventory. If such blood is to be used, special precautions need to be undertaken to avoid complications in high-risk recipients. Background: Sultanate of Oman is geographically situated in south-west of Asia, having common borders on western side by the land with United Arab Emirates, Saudi Arabia and Yemen and with the Arabian Sea and the Gulf of Oman in the east and the north respectively. The country enjoys one of the best health care facilities including blood transfusion services in the region. Study design: Information was collected through informal personal interviews, digging out the past records, and the report presentations at various forums. Results: A modest start by providing blood units through import, the country is now self-reliant on procuring blood units from voluntary non-remunerate blood donors within the sultanate. A steady growth of blood banks is witnessed in every aspect of blood banking including blood collection, blood processing and supply. Various modalities are adapted in promoting voluntary blood donation programme. Conclusion: Sultanate of Oman has created one of the best blood transfusion services in the region in providing safe blood for transfusion through voluntary donation, a use of blood components and irradiating blood products.